For more than 100 years the Chicago Cubs have been the "Lovable Losers," best known for their futility and popularity. But that all changed in 2016, when Joe Maddon's squad won the World Series, defeating the Cleveland Indians in an extra-inning Game 7 which will go down in history as one of the greatest games ever played. The colorful characters and great players who won the Word Series and fill Cubs history are captured in this book, brilliantly illustrated by Mark Anderson and thoughtfully capsulized by former Wall Street Journal columnist Frederick C. Klein.It is the perfect book for parents wanting to introduce their children to the Cubs—or for fans of any age who dream of visiting the "Friendly Confines" without ever leaving home. On October 12, 2011, Theo Epstein became the new Chicago Cubs president of baseball operations, flipping a switch on the lovable-loser franchise and initiating a plan to accomplish in Chicago what he'd succeeded in as general manager of the Boston Red Sox: ending a World Series drought. It would require a complete team tear-down and turnover, a new farm system foundation of young talent which Epstein and Cubs GM Jed Hoyer gradually added to with gutsy trades and timely signings. After years of rebuilding, Epstein's crystalline vision has been unquestionably realized in the form of one of the most exciting and talented teams in baseball, led by heavyweights like Anthony Rizzo and Kris Bryant as well as visionaries like manager Joe Maddon. In The Plan, David Kaplan of CSN Chicago and ESPN Radio goes behind the scenes with the Cubs and their front office, walking the steps of their captivating rise to becoming 2016 World Series champions. 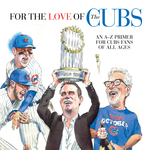 Featuring exclusive interviews with Epstein, owner Tom Ricketts, and other team insiders, this is the definitive account of a new era on the North Side. It has been called the last great American sports story, a quest that has spanned more than a century and captivated millions of fans. In 2016, the Chicago Cubs were at last baseball's champions, breaking the Curse of the Billy Goat and shedding the label of "lovable losers" once and for all. Led by manager Joe Maddon and built around rising stars Kris Bryant and Anthony Rizzo, the Cubs brought the Fall Classic back to the ivy-covered confines of Wrigley Field for the first time since 1945 and won the franchise's first championship since 1908 in unforgettable fashion. Re-live the Cubs' magical postseason run with Won for the Ages. This photo-packed collection of memories, stories and player profiles produced by the staff of the Chicago Tribune is the perfect look back at the sweet '16 season. Originally called Weeghman Park, Wrigley Field hosted its first game in 1914, and the 2014 season marks the 100th anniversary of baseball’s second oldest ballpark. In Wrigley Field: The Centennial, Les Krantz tells the story of Wrigley’s first 100 years—from the origins of the ivy on the outfield walls and ballpark traditions such as throwing back home run balls to Ruth’s called shot in the 1933 World Series and unforgettable moments featuring stars Ernie Banks, Ron Santo, Billy Williams, Ryne Sandberg, Greg Maddux, and more. 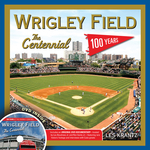 Featuring numerous photographs, Wrigley’s first century is beautifully documented and an originally produced DVD narrated by Lou Boudreau Jr. and Ron Santo Jr. features footage from throughout the stadium’s history and interviews with Jack Brickhouse, Ron Santo, Ernie Banks, and others. Respected by his baseball peers and beloved by Chicago fans and teammates, Ernie Banks did everything there was to do in the game he loved. Everything, that is, except play in a World Series. How and why that experience eluded him during one season of particular promise—1969—is a key storyline of this fresh look at one of baseball's legendary players. The life of Banks, who had picked cotton outside Dallas as a youth, ascended from a barnstorming semipro team to the major leagues after Kansas City Monarchs manager Buck O'Neil placed him with the Cubs, is detailed in this biography of Mr. Cub. During his time in Chicago, Banks won two MVPs and received an education far better than the one he received in the segregated schools he'd attended, gaining important life skills while playing the game he was born to play. Imagining a year in which the lovable losers never lose a single game, this idealistic resource identifies the most memorable victory in Chicago Cubs history on every single day of the baseball calendar season, from late March to late October. Ranging from games with incredible historical significance and individual achievement to those with high drama and high stakes, the book envisions the impossible: a blemish-free Cubs season. Evocative photos, original quotes, thorough research, and engaging prose and analysis add another dimension. Jenkins' life story—from Chatham, Ontario, to Cooperstown—is compelling, and Fergie tells it himself in his own unique and inimitable style. A tremendous all-around athlete who has always been proud of his roots and representing his country during a lifetime in the game, Jenkins established a reputation as one of the greatest pitchers of not only his era but of all time. A strikeout king who whiffed more than 3,000 batters, Jenkins earned the trust of his managers as a pitcher who completed what he started. This is the story of a man who refused to be leveled by sadness and disappointments away from the playing field. It is also the story of behind-the-scenes good humor in clubhouses and what takes place on baseball teams as they live and play together for months at a time, as only Fergie can tell it.